Please let the event organisers know you found out about these events from us. Thank you. 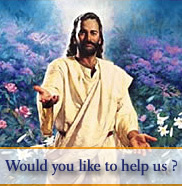 Posters, Videos and Teachings and further information relating to the Event or Feast day. To Add your event here FREE, for a donation to cover our costs, please Contact us. If you would like to help towards our own expenses and effort in providing this, you can make a donation.Your support would be appreciated, Donation Link or Donate Now by pressing the Donation button below. If you would like us to help you with the designs of your posters or leflets and help to promote your event then please let us know, for a donation, we can help you produce an effective and informative campaign. See the Fr Rufus Event in Cardiff as an example of what we can do for you. Contact us with your requirements. Have you got your St David's Day greeting Card? Take a look and order yours now. 10 - 19 Save £0.25 ea. 20 - 49 Save £0.50 ea. 50 - 74 Save £0.75 ea. 75 - 99 Save £0.85 ea. 100 - 199 Save £0.90 ea. 200 - 1000 Save £0.95 ea. This Lent make sure you get your copy of the Road to Pentecost. 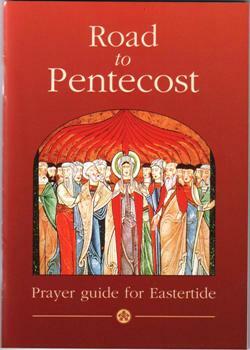 A 50 Day daily prayer guide which starts Easter and ends on Pentecost. the promise of the Father about which you have heard me speak; for John baptized with water, but in a few days you will be baptized with the Holy Spirit... [and] you will receive power when the Holy Spirit comes upon you(Acts 1:4,5,8). It is this power of the Holy Spirit that puts into effect the saving action of Jesus. The third Person of the Blessed Trinity has been sent by the Father and the Son to complete the work of salvation on earth and to bring us the fullness of grace. Can you help us distribute this Prayer Guide?